Ah yes, Bank Holiday weekend, a summer staple here in the UK. It does normally rain, but we still flock to the seaside like starving seagulls quarrelling over the last morsel of food. This time, my friends and I decided to join the masses. We were devoid of festival tickets due to being extremely disorganised. Attending a UK festival these days is a military operation that involves spreadsheets, allocated groups and so many internet banking transfers it's a miracle the entire banking system doesn't collapse. 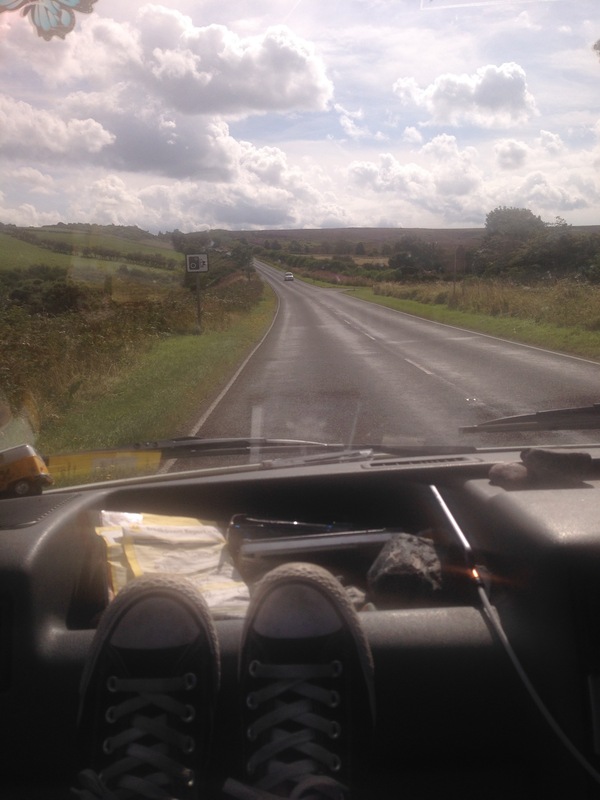 After an early start, we were on our way by 10am, cruising across the North Yorkshire Moors in the VW camper, sun blazing and reggae blaring. This is surely what life is all about. 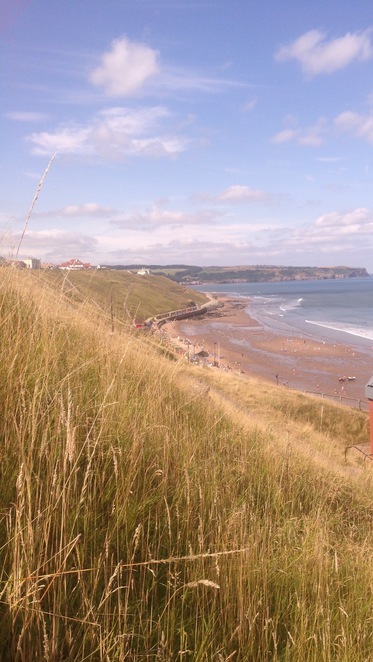 Yorkshire has, in my opinion, some of the most beautiful countryside in the world but North Yorkshire is my favourite. It's just so quintessentially English that you almost feel like you're in a Dickensian novel if it weren't for the iPhone glued to your hand. We parked near the beach and walked through town towards the Abbey. 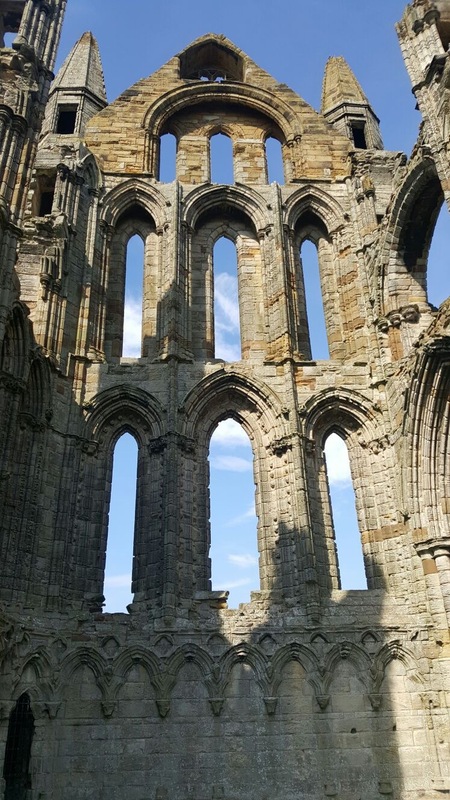 Whitby is steeped in history, the earliest recorded settlement was 1,360yrs ago, it's absolutely ancient but very beautiful, like Yorkshire's equivalent of a Greek goddess. Whitby is most notably famous for being the inspiration for the setting of Dracula, Bram Stoker's novel. 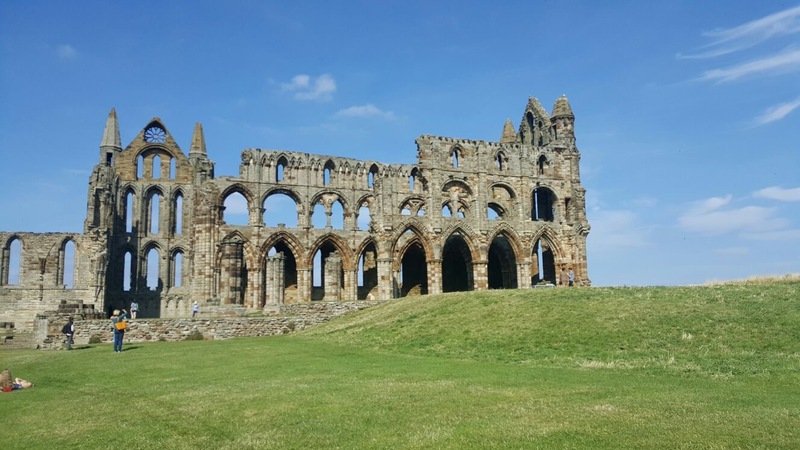 Due to this, Whitby has a huge goth following and there is a yearly goth festival. One of the main tourist attractions in Whitby is the ruins of Whitby Abbey, a 13th-century Gothic monastery. It's a short trek up the famous 199 steps to get to the ruins of the Abbey, perched up on the cliff, but it's worth it, if only for a gander up close and to admire the stunning view. The arduous climb up the 199 steps. Check out that blue sky! Not bad for the UK. 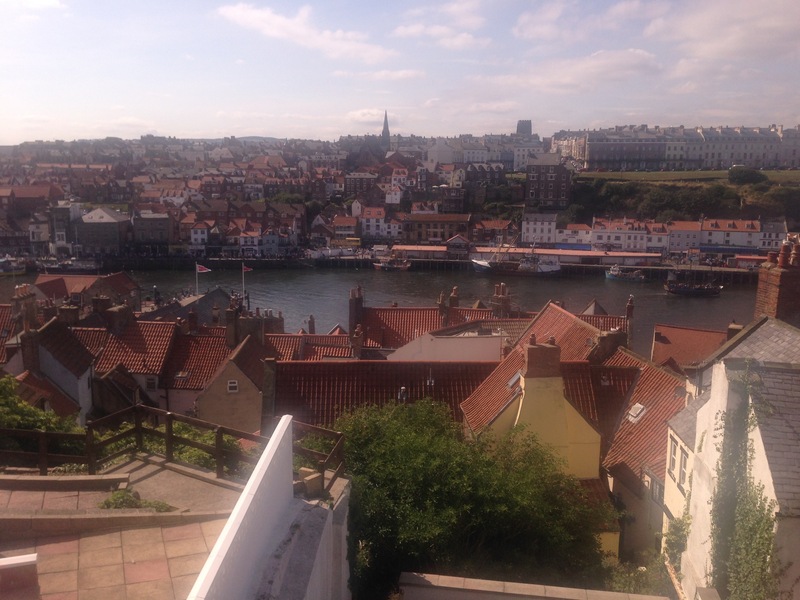 Whitby is, without a shadow of a doubt, one of my favourite places in the world. It's so quaint and by far the most typically English seaside town. 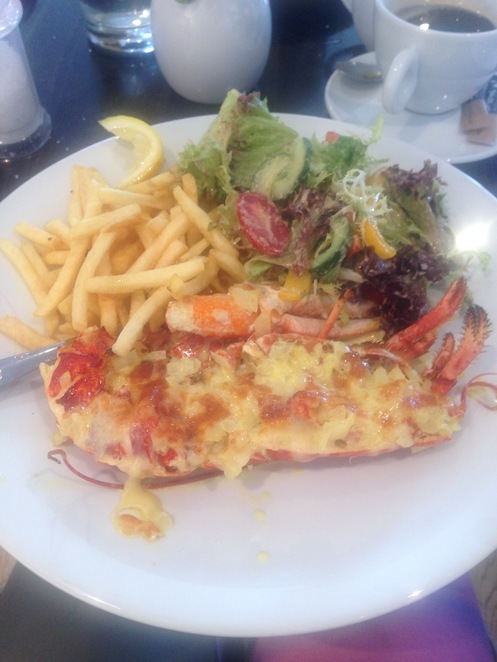 No trip to Whitby is complete without good old fashioned fish 'n' chips or if you're feeling a bit posh, Lobster Thermidor. Why? A quintessential English seaside town. The history you have in England is just amazing. It must be quite something to be able to get so close to it.